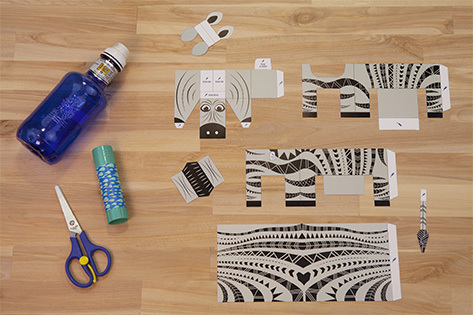 Let’s make a zebra! 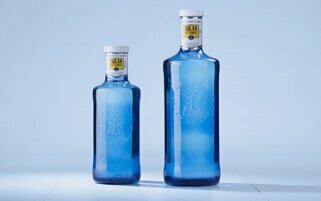 You only need a 33 cl Solán de Cabras bottle, some scissors and glue. 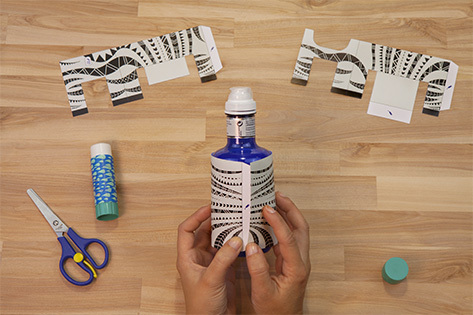 The first thing you have to do is the glue the body around the bottle. 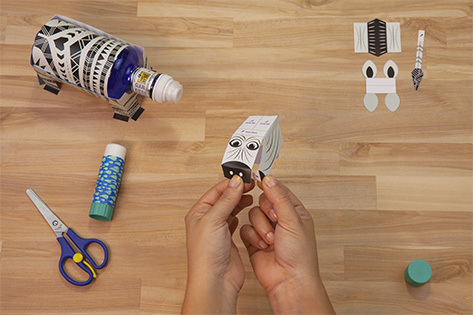 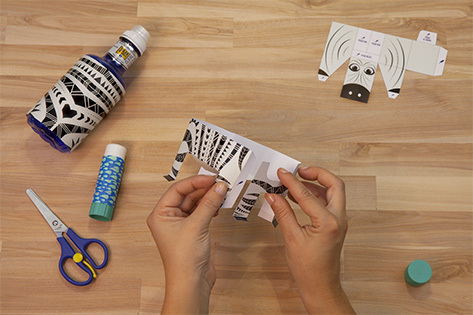 Make the zebra’s head by folding the piece along the lines and putting a little glue in the marked places. 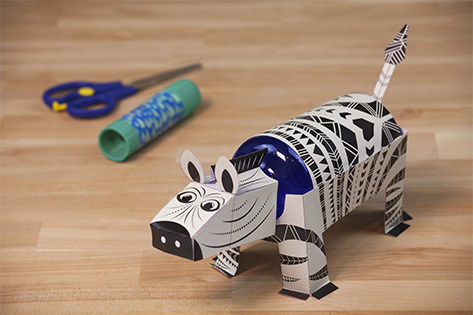 Glue the mane and the ears to the top of the zebra’s head, on the borders marked. 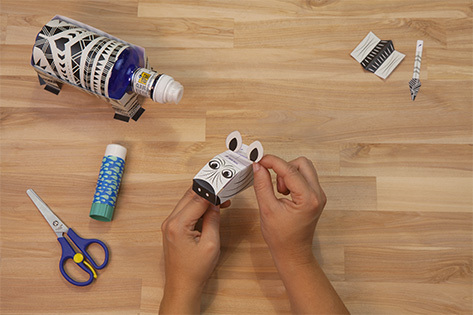 Finally, put the head on the bottle top to complete the zebra. It looks real, doesn’t it?